Huntington, NY, USA. March 29, 2019. 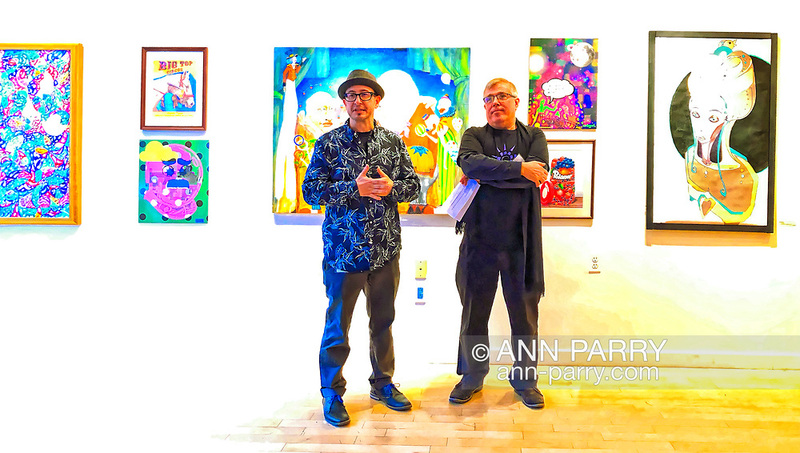 L-R, Juror Benjamin Owens and Huntington Arts Council Executive Director Marc Courtade address visiters during HAC Opening Reception for Bright Colors Bold Strokes, Creations of Lowbrow Art Exhibition.